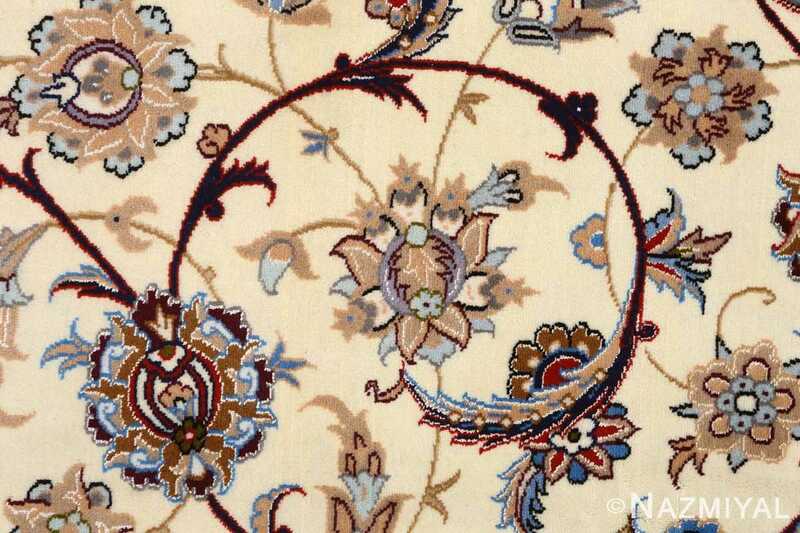 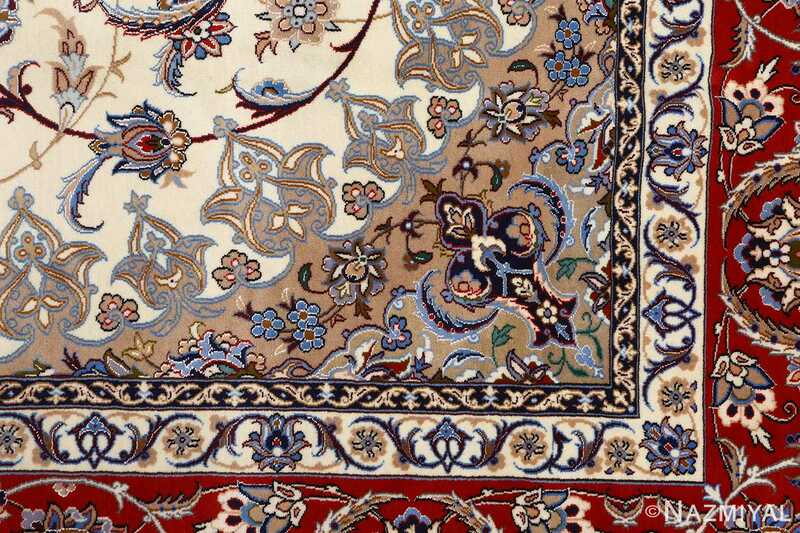 Beautiful Vintage Isfahan Persian Rug 51140, Knots Per Square Inch KPSI: 500, Country of Origin / Rug Type: Vintage Persian Rug, Circa Date: Late 20th Century – A glory of swirling and unfurling lines and flowers, this vintage Persian rug is shaded with platinum and gold tones like antique jewelry. 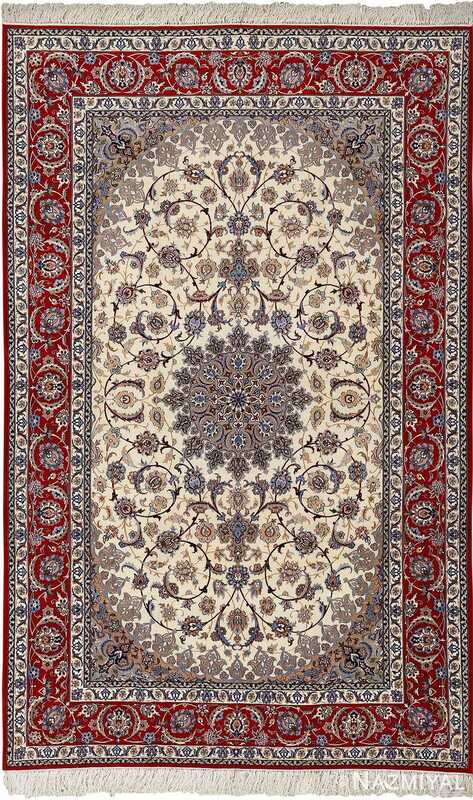 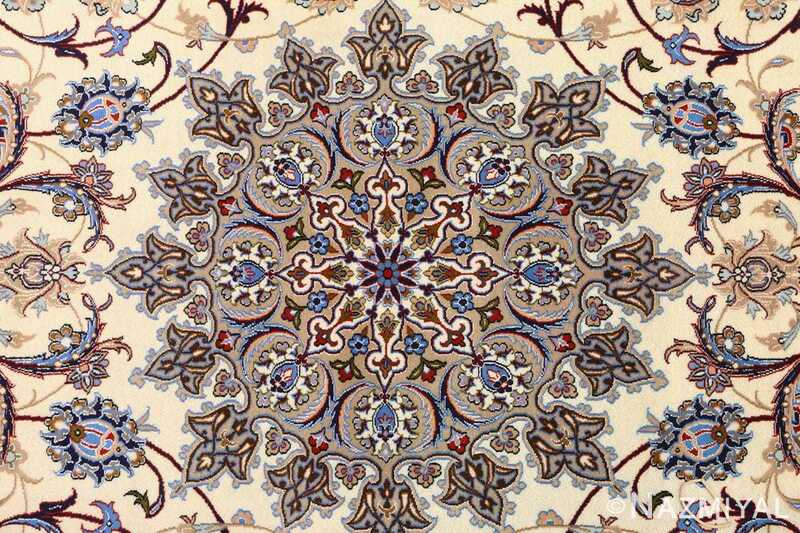 The central medallion rug motif builds like fine lace, eight points with radial symmetry spreading like petals and cradled by the sweeping lines of stems and vines stitched artfully in a mirrored pattern. 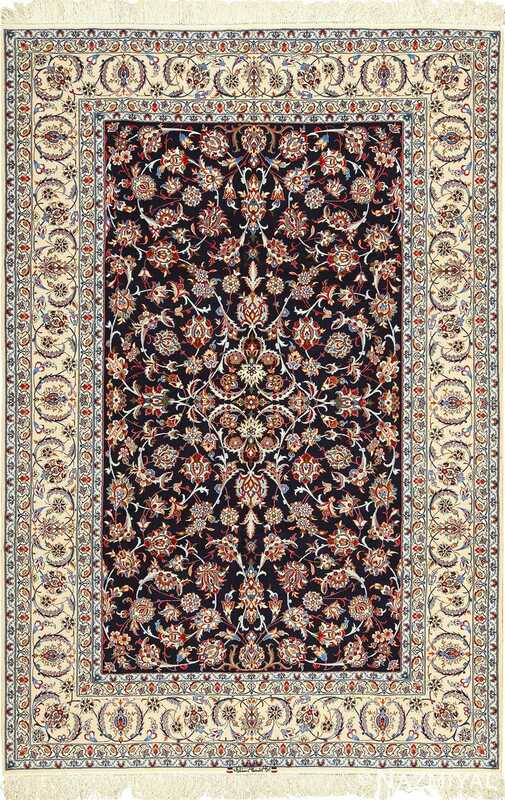 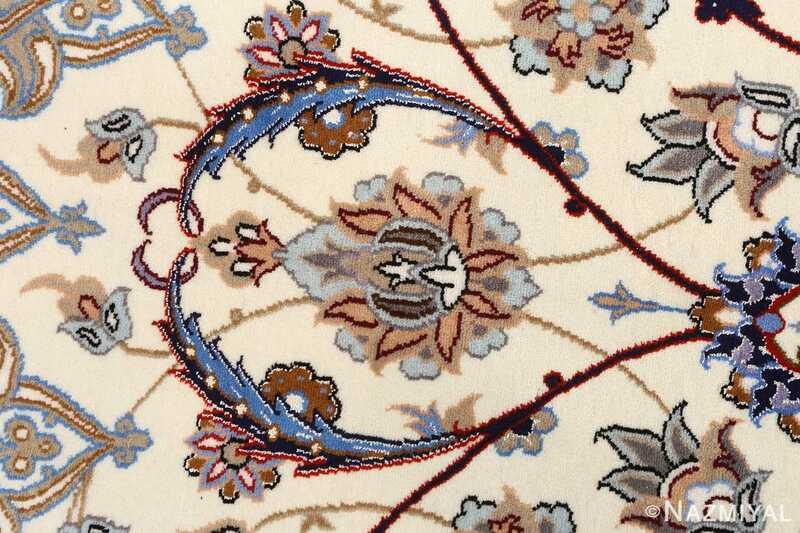 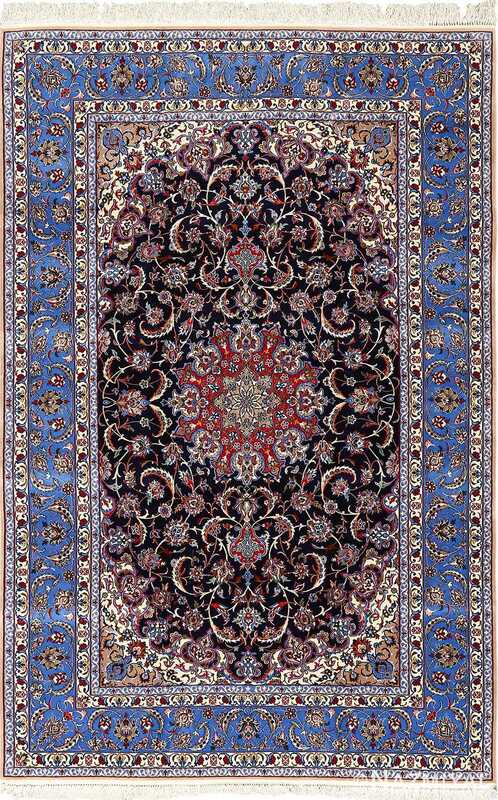 Each ornate blossom, in this magnificent vintage rug, links to the next with black and gold strokes, their botanical layers built in delicate hues. 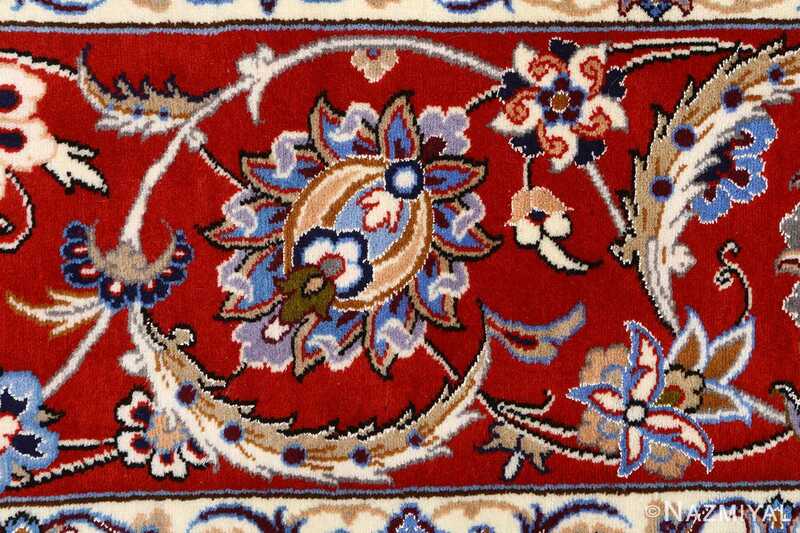 Decorations in the corners of the central field add a fullness with rounded sides, creating a nearly three-dimensional shape. 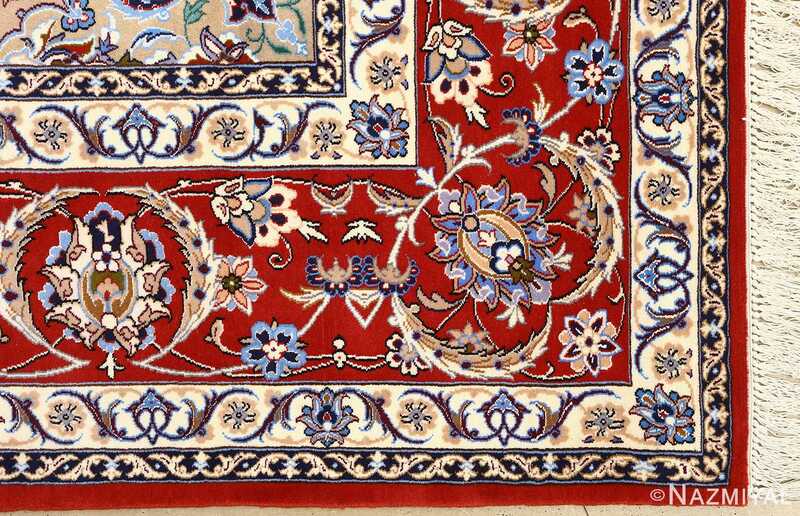 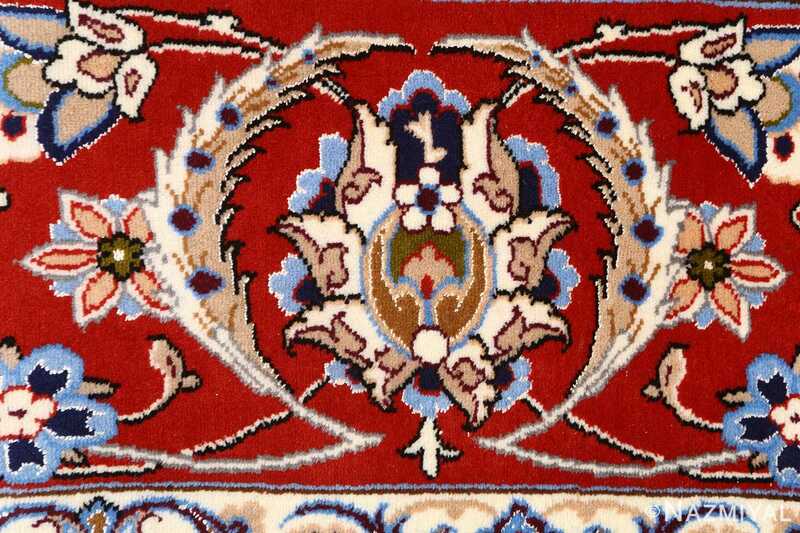 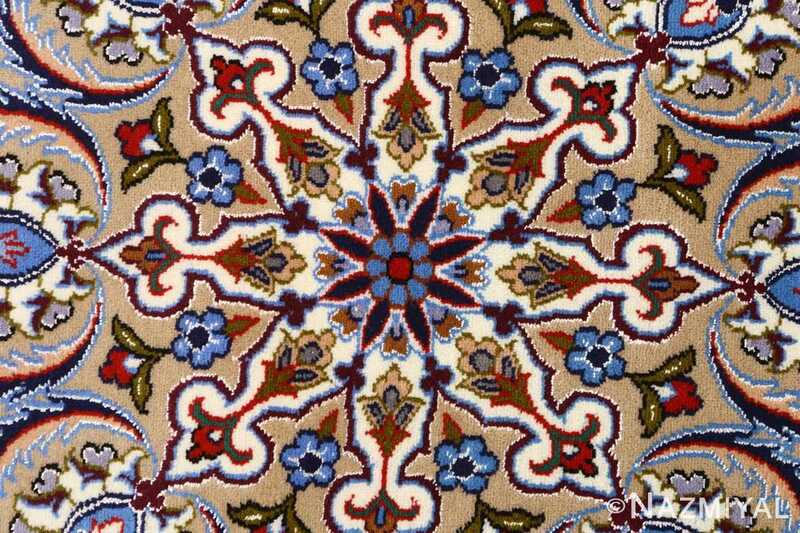 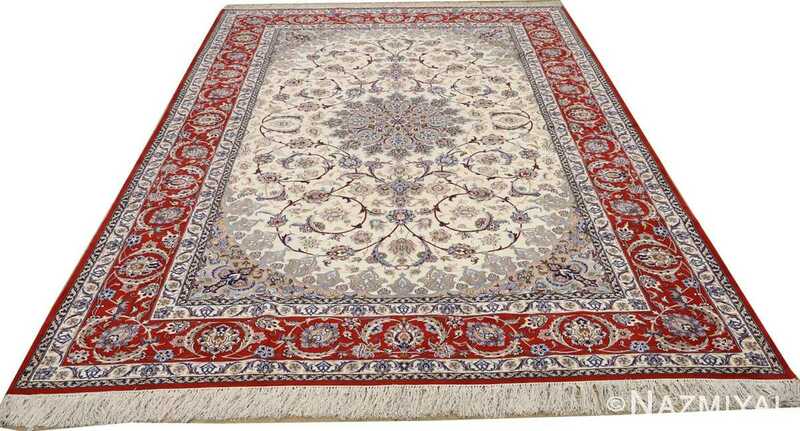 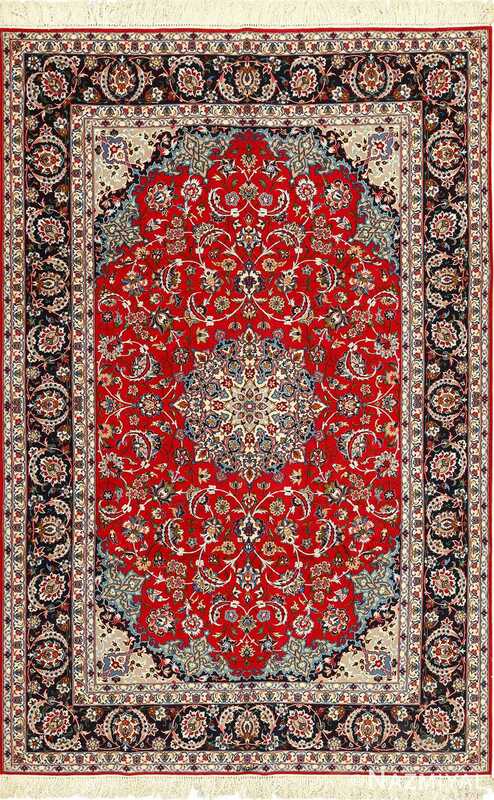 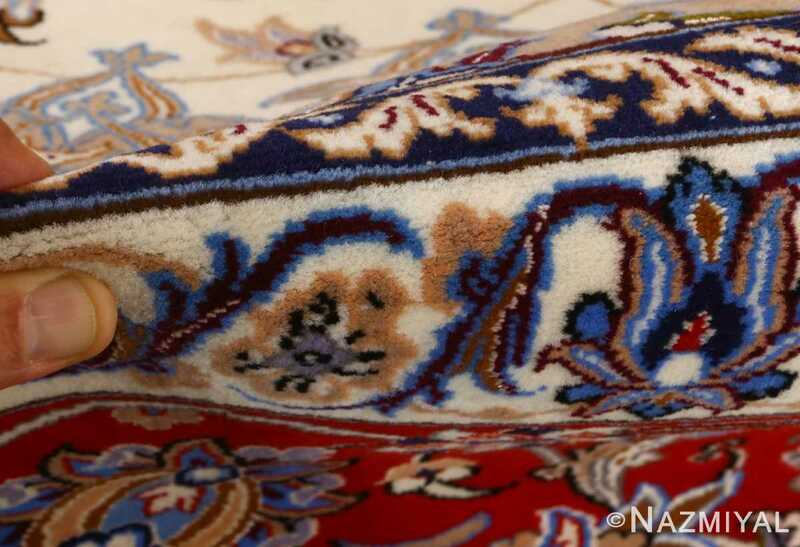 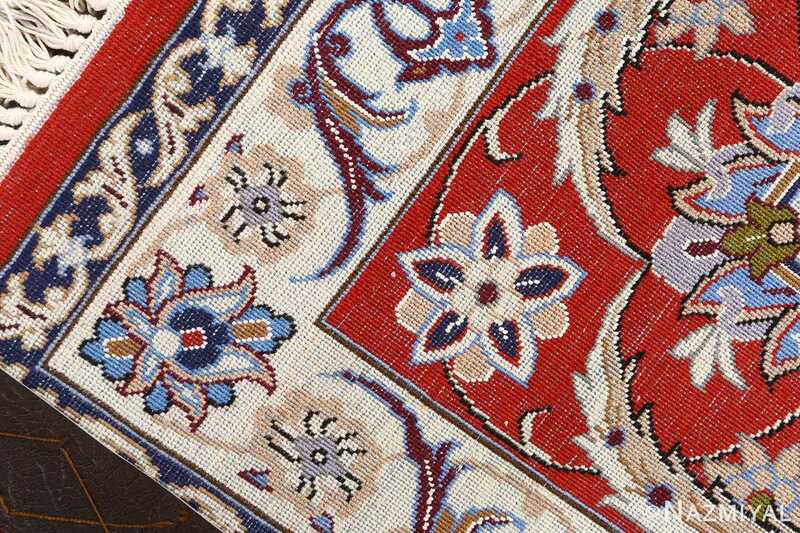 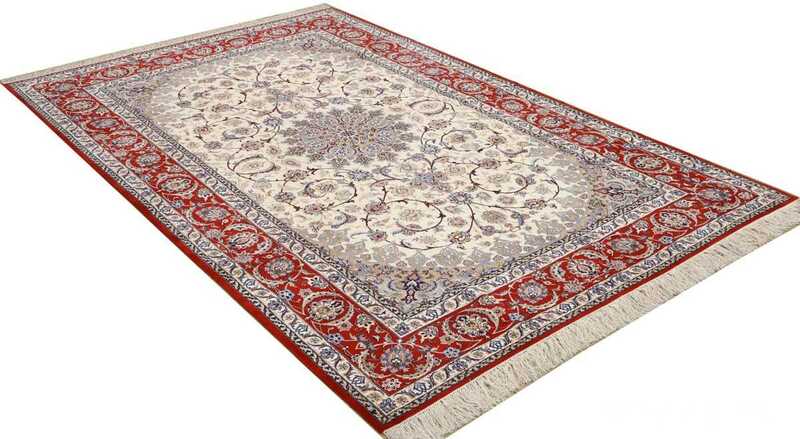 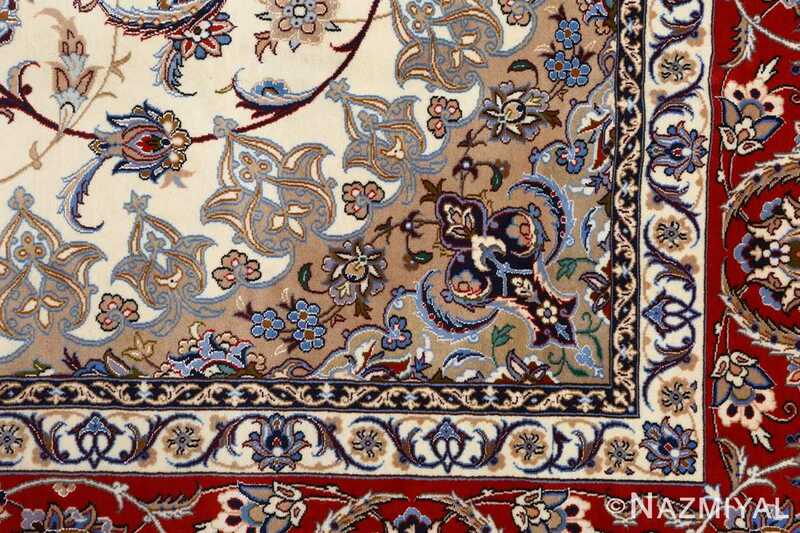 A vibrant red band, flanked by smaller ivory borders, anchors the vintage Persian Isfahan rug.